I’m needing lots of protein these days. Trying to grow big babies with a limited amount of time has increased my dietary needs a lot! This has led me to the dreaded protein shakes. They don’t taste very good, and the texture is chalky. Have you ever tried them? They are not exactly milkshakes. However, there is no reason why I can’t try to make them into a tasty shake. This Strawberry Banana Protein Shake is super easy, but by the time I finished it, even my three year old thought it was “Super Yum, Mom”. So if you know a pregnant mom of multiples, pass this recipe on to them. Lots of protein is great for the babies! Pour the cup of ice into a blender. Pour protein shake over the ice. Cut banana into slices and sprinkle into blender. Use “chop ice” function on blender to cut the ice. Once ice is well blended into shake, change blender function to “stir”. Blend for one minute. Enjoy the shake and know you’re getting good protein! Cookie Swap: Cereal Christmas Wreaths- a Kid Friendly Dessert Recipe! 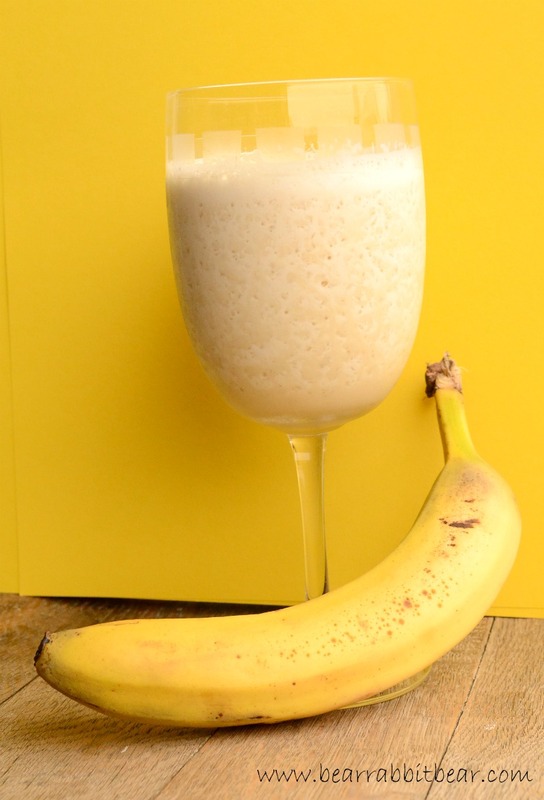 Bananas make SO much difference in “healthy” drinks!! Great idea!! Yum! And looks totally easy too! This looks so tasty! Yummers☺ You make Whimsy Wednesday look so good! So good! I love all fruit shakes. Thanks for linking up to tip-toe thru tuesday.